Opening an IRA for your grandchild teaches her to save money toward her future goals. 1. Can a Parent Help an Adult Child With a Roth IRA? Your grandchild is not thinking about retirement right now. He is thinking about school, friends and dreams. The financial experts all agree that starting an individual retirement account for your grandchild early offers the best opportunity for increasing their net worth in retirement. The longer your grandchild's money has to earn interest, the higher the potential balance in retirement. As a grandparent, you may open an IRA for your grandchild provided they meet all the requirements by the IRS. According to Smart Money, Roth IRAs are the best option for kids and teenagers. Traditional IRAs offer tax-deferred options that children don't need, whereas the Roth IRA lets your grandchild's money grow tax free. The downside is once your grandchild reaches the age of majority, she retains full control over the account to use the money as she desires. If you worry that your grandchild may misuse the money when she reaches majority, then a traditional IRA may be the way to go. Your grandchild will pay taxes and penalties on the entire balance if she performs a nonqualified distribution (more on that later). The key to opening a Roth IRA for your grandchild is earned income. Your grandchild must have a job that earns a wage. If she has a traditional job where her employer files a W-2 then you need no other paperwork to open a Roth IRA. If she does odd jobs like babysitting or mowing lawns, you need to keep receipts and file a tax return with the IRS. The tax return acts as proof of earned income making your grandchild eligible for a Roth IRA. You may contribute any amount up to the total your grandchild earned for the tax year. If your grandchild earns $2,000, you may contribute up to $2,000 to the Roth IRA. The Roth IRA has a maximum contribution limit of $5,000 from all sources. Consider doing a matching-funds incentive plan to teach your grandchild to save money. If he saves half his income, you match his funds with your own contribution. Once your grandchild reaches the age of majority, she gets control over the account. She may withdraw the money at any time. 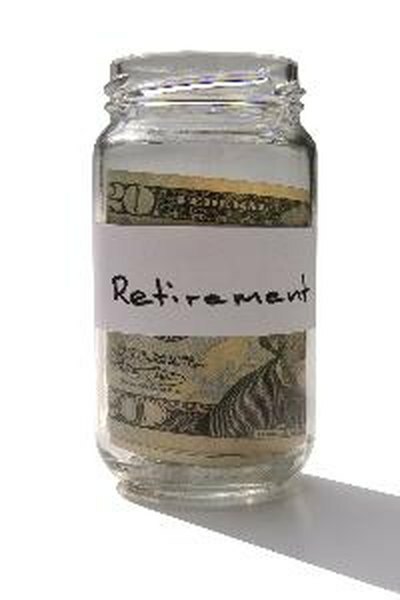 The Roth IRA earnings are not taxed upon withdrawal for a qualified distribution. A qualified distribution for a Roth IRA includes a disability, reaching age 59 1/2, first-time home purchase or for qualified higher-education expenses. Withdrawing money from a Roth IRA for other reasons results in a 10 percent additional tax on the earnings or interest from your contributions. Withdrawing money from a Roth IRA before it reaches five years old also results in a 10 percent tax on the Roth IRA interest or earnings.